Getting content from your mobile device to your TV or computer screen quickly can be a nightmare, but thanks to a new service called Clik, you can forget the need for any cables. The Clik platform launched today and aims to bring content from mobile devices to any other device with a Web browser built in such as your computer or smart televisions. In the proof of concept app you are currently limited to getting YouTube videos to the other devices, but the potential is immediately evident in other ways this could be used. To connect the smartphone to the other device you simply launch the app and then go to ClikThis.com where a QR code like you see above will appear. You line up the blue dot that appears on your phone with the one on the screen and they are immediately synced together. That’s it. No cables needed. From there on out you can look up videos and when you click play on them they appear on the other device, but you retain the controls to pause, advance and change the volume level on your phone. While this is currently only working in this proof of concept test, the company is looking down the road to offering a software development kit that would allow app developers to integrate it into their projects. Imagine being able to show the video you shot of Billy playing Little League on your TV any time you wanted with ease, and you can quickly see how this could finally make an easy bridge between your mobile and home life. For those concerned about how this may potentially impact your mobile data usage, the good news is that it currently takes no more bandwidth than you use searching YouTube for videos or surfing the Web. The device you are connected to does all of the heavy lifting when it comes to the streaming side of the equation. The app is now available for both iOS and Android, and it’s well worth a test drive to see what you think of this potential future for connected TV. WATERLOO, Ontario—(February 16, 2012) —The Clik Smart TV platform officially launches today, allowing content providers and app developers to build apps that communicate with any screen with a browser. The platform was developed by the same minds that created Kik Messenger, one of the fastest growing mobile instant messenger applications, now used by millions of consumers worldwide. Unlike other Device-to-TV solutions that require consumers to own multiple devices made by the same manufacturer, Clik enables developers to build apps that connect iOS or Android smartphones to any screen with a browser. This means, no special hardware or wires are required. And Clik will work on any mobile operator’s network, or even over WiFi. Clik provides a super-fast connection between the devices and the platform does all the heavy lifting, so developers can build their app using Web developer standards, avoiding the time consuming and expensive process of developing for mobile platforms. The Clik platform is designed to power third-party apps, which showcase TV shows, movies, games, pictures and almost anything else imaginable. 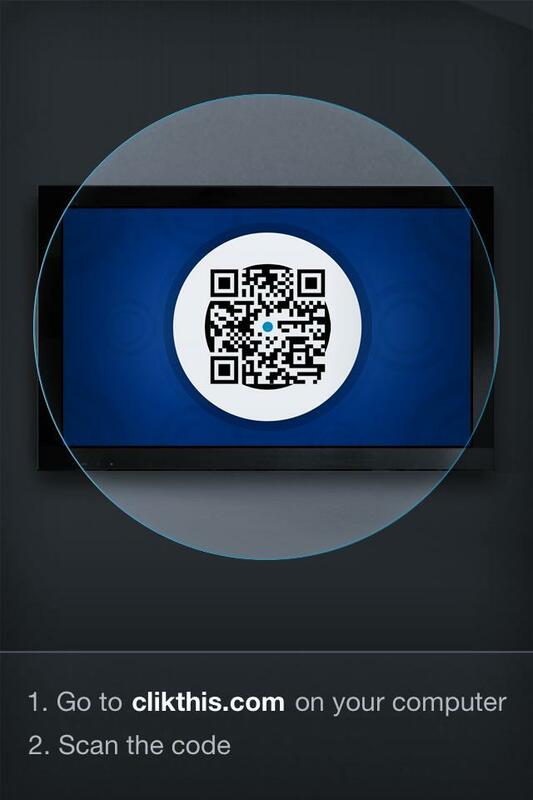 When new apps are built using the Clik technology, users can scan a code on any browser to take control of the screen, allowing them to lean back and discover and control content on their phones while enjoying that content on a TV or monitor. Best of all, Clik lets friends join in on the fun with multiplayer mode. Anyone with Clik can scan into the same screen, so people can share control of the screen, and share experiences in a social setting. Clik also is releasing the first app powered by this new technology, a YouTube app now available for download on iOS and Android as part of the Clik download available here. This first app lets users discover and control YouTube content on their phone and wirelessly stream videos to any screen with a browser. 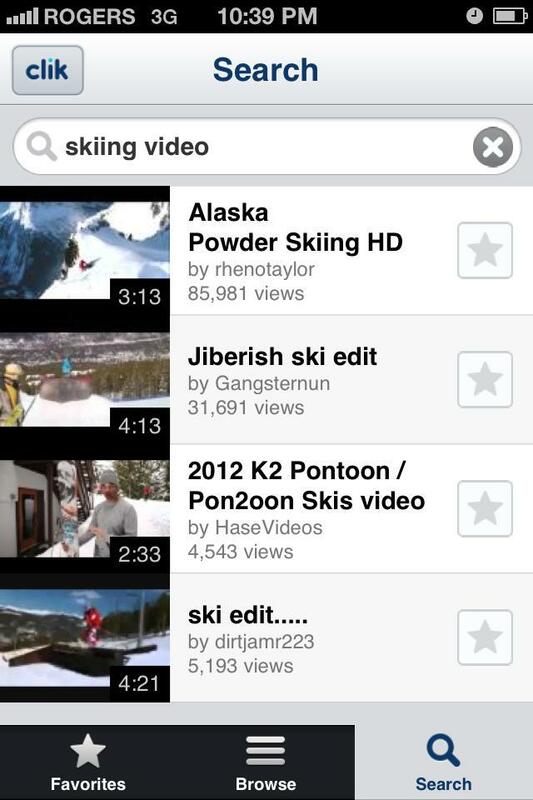 The YouTube app also allows users to start, stop, search, browse or create favorites, instantly. 1. Download the app from iTunes or the Android marketplace here. 3. 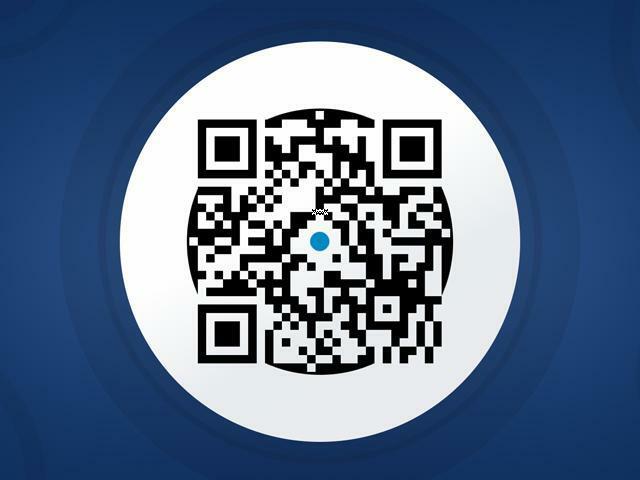 Open the app and scan the QR code for an instant connection. The phone is now your remote control! 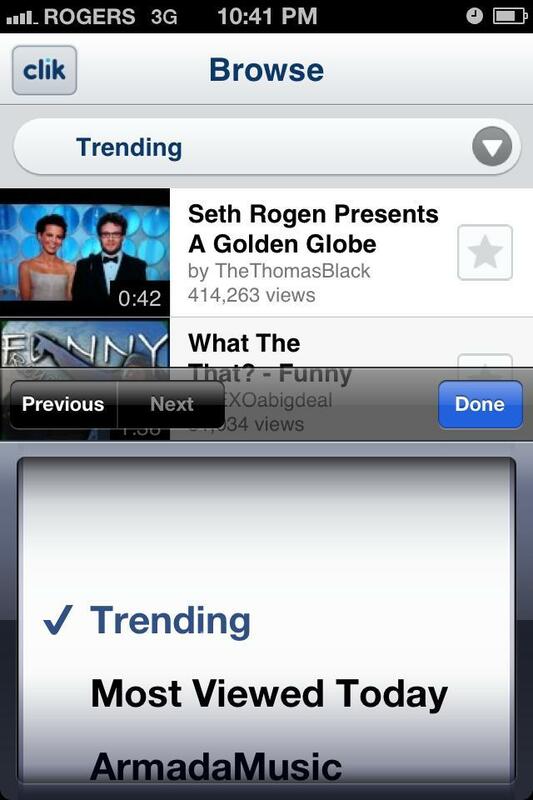 Start enjoying YouTube videos by selecting them on your phone and watching them on your Smart TV. You can also invite friends to join in by having them scan the same screen, to seamlessly control the video playlist together.